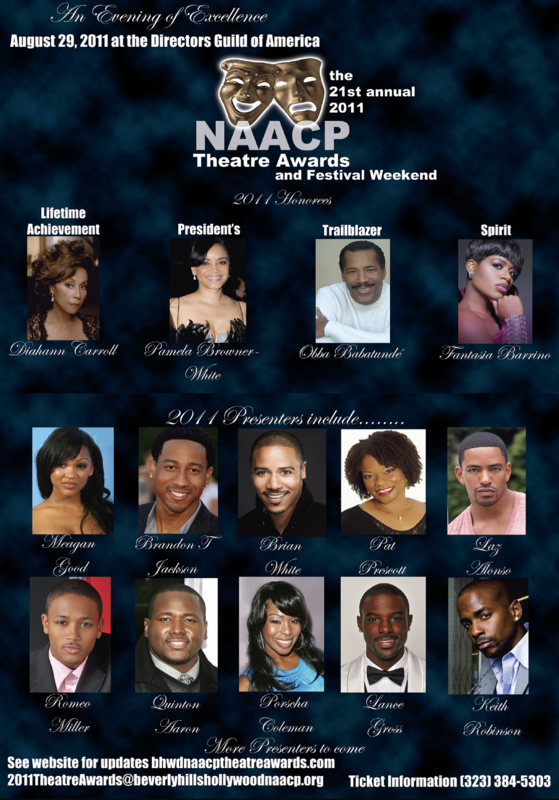 The Legend ary Diahann Carroll will be honored with the “Lifetime Achievement” award at this year’s NAACP Theatre Awards ceremony. 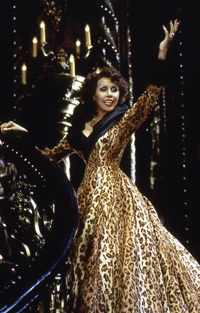 Carroll has enjoyed an extraordinary career in theatre, television and film. She debuted on Broadway with a starring role in Harold Arlen and Truman Capote’s “House of Flowers.” Inspired by her performance, Richard Rodgers created the Broadway production “No Strings” with Carroll in the starring role, for which she won the Tony Award. Carroll was celebrated by the press, in 1995, as “the ultimate Norma Desmond” in the Toronto premiere of Andrew Lloyd Webber’s hit musical “Sunset Boulevard.” She performed to sold-out theatres and her Canadian cast recording outsold all other recordings of the show. Miss Carroll also starred on Broadway in the award-winning “Agnes of God” and the musical, “Bubbling Brown Sugar”,” in 2004, for which she received critical acclaim. Carroll never followed in the footsteps of others. She laid the foundation for actresses like Halle Berry, Viola Davis, Jada Pinkett-Smith, and more. She has received multiple Emmy nominations for her outstanding work in television. 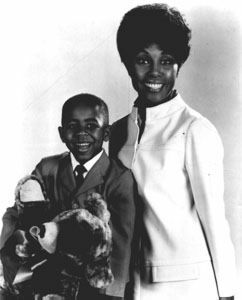 In 1968 Diahann Carroll was the first African American actress to star in her own television series, “Julia,” and she received an Emmy nomination in the show’s first year on the air. 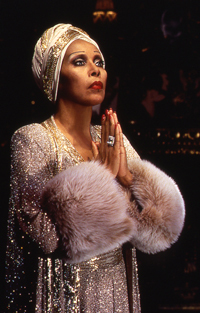 Diahann Carroll received a “Best Actress” Academy Award nomination for her leading role in the film “Claudine,” in 1974. She has worked with many of the greatest actors of our time, including James Earl Jones, Paul Newman, and Sydney Portier. Her other films include “Carmen Jones”, “Paris Blues”, “Porgy & Bess”, “Hurry Sundown”, “I Know Why The Caged Bird Sings” and “Eve’s Bayou”. Carroll is truly a living legend and treasure. More info and insider news to come. . .